On a remote island in the South Pacific’s Tuamotu Archipelago sits a gem of a resort, the Hotel Kia Ora. 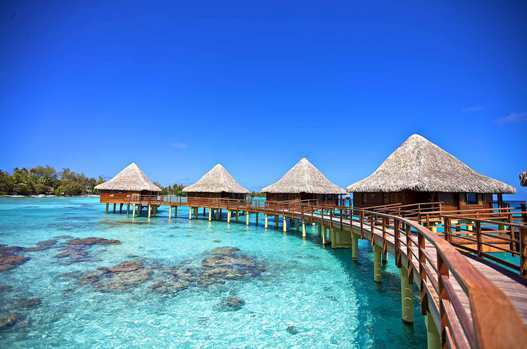 This island – Rangiroa – is a coral-sand strand of pearls that makes up the largest lagoon in the South Pacific. Rangiroa is known by diving enthusiasts, but is otherwise still a well kept secret for most American tourists. This resort enjoyed a complete facelift in 2011, knocking this property up to the level of a luxury resort. General Manager Jerry Garcia brings charm and laid-back sophistication to this pleasant retreat. He has expert knowledge of what it takes to keep American and European tourists happy in the middle of nowhere. It is no fluke that the fruit and seafood are remarkably fresh, the activity board is filled with interesting excursions, and the resort grounds are pristine. From the deck of your beach bungalow the surf is just steps away, and a hammock strewn between two palm trees beckoned for a midday nap. Tahitian neighbors border both sides of the property, and lazy entertainment could be had watching the locals in their fishing boats. Hotel Kia Ora is recommended for divers and for beach lovers who are looking for the ultimate in South Pacific getaways. Families are welcome, but anticipate there being no kids’ clubs or lively diversions for your little ones. 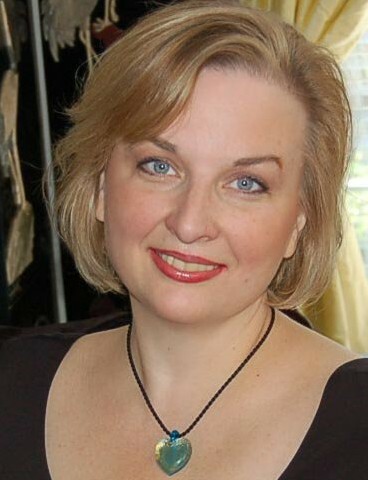 Clientele consists of seasoned travelers and a healthy return client base. This is an excellent choice for anniversary and honeymoon couples, as well as the executive who needs to sink his feet in the sand for a few days to recharge batteries. Bring along a good book or two and prepare to relax. The 60 accommodation units include beach and garden bungalows, overwater bungalows, beach and garden bungalow suites, and deluxe beach bungalows. For divers and snorkelers, Tiputa Pass offers a pass/drift dive toward the ocean with a variety of fish, eels, turtles, and sharks. Other diving and snorkeling opportunities abound, and the Hotel Kia Ora has reasonably priced off-site activities available during the course of your stay. Dive center offers PADI instruction. Spa onsite. Snorkel gear and canoes are available for use. If you ARE looking to cut yourself off from civilization, then you may want to consider as well the remote sister property, the Kia Ora Sauvage. Just ask GM Garcia about the Sauvage and his eyes will twinkle as he tells of the special magic of this place. The Sauvage is an hour’s boat ride from the Kia Ora, and has only 5 bungalows. The property has no electricity, and guests are given lanterns in the evening. While the Polynesian style accommodations are rustic and not luxurious, guests are still pampered in their own right. Delicious meals are prepared by the hotel staff, and there are activities planned to keep guests busy if they so desire. Bungalows have private bathrooms with heated water (hurray!). 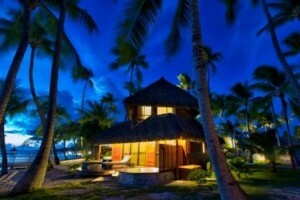 Plan on at least two nights at the Sauvage, though it is not uncommon for guests to stay a week or longer. The Kia Ora Sauvage and Hotel Kia Ora combine well for a varied itinerary. 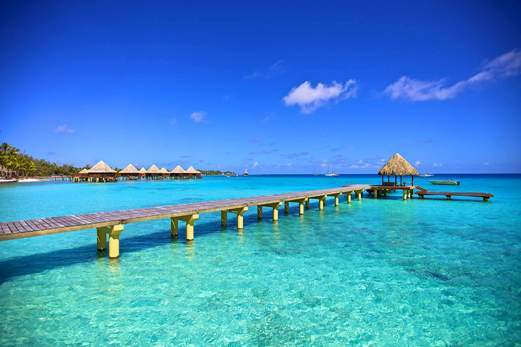 To reach Rangiroa, you will need to first fly into Papeete, on the island of Tahiti. From there, you will take an interisland flight. Because of the flight schedules, anticipate that your itinerary may require a minimum of one night in Papeete upon arrival, and possibly one night returning. 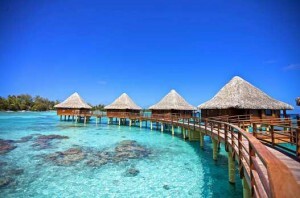 You can also combine Rangiroa with other Tahitian islands such as Moorea or Bora Bora. 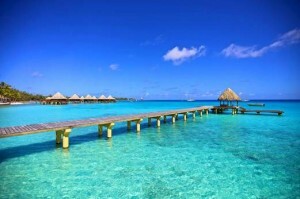 To put your Tahiti package together, contact Cindy Grant, Tahiti Specialist, at Expert Family Travel. 972-625-6200.